The Trustees met last Tuesday evening at Over Kellett to sign the shed lease and consider David’s cash flow statement – as many of you will be aware, there has been a significant outflow of money in recent weeks in order to progress the Trust’s projects! Attendance at the meeting was reduced due to the poor weather forecast but was just sufficient to be quorate and to transact the business. With the weather in mind, Alison’s sandwiches were duly eaten during the meeting to save time and all was done and dusted before 9.30 -this must be some sort of record! Opening the front door revealed an unwelcome layer of snow that had arrived while the meeting was underway, and those heading back towards Furness had to endure a blizzard. 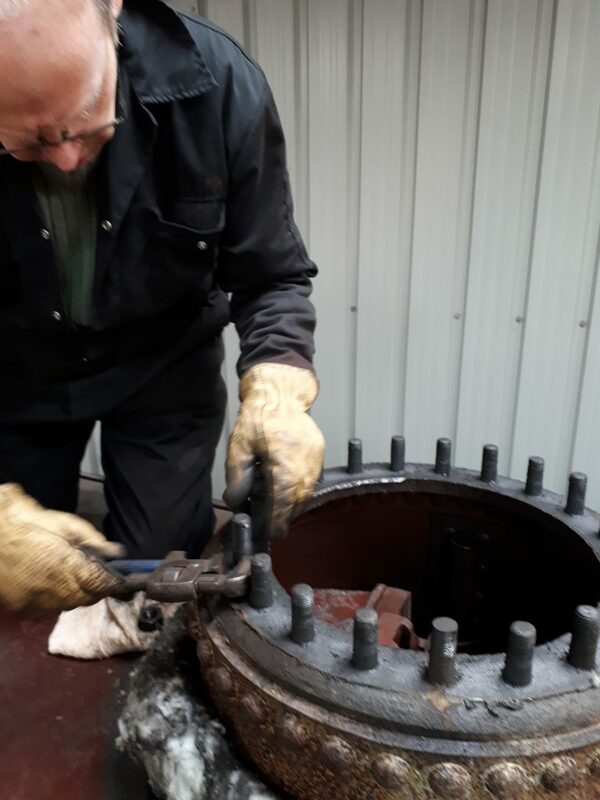 The cold weather put paid to any thoughts of undertaking a washout on FR 20’s boiler on Wednesday and so efforts were turned to removing Caliban‘s front buffers in readiness for the cylinders to be re-bored. 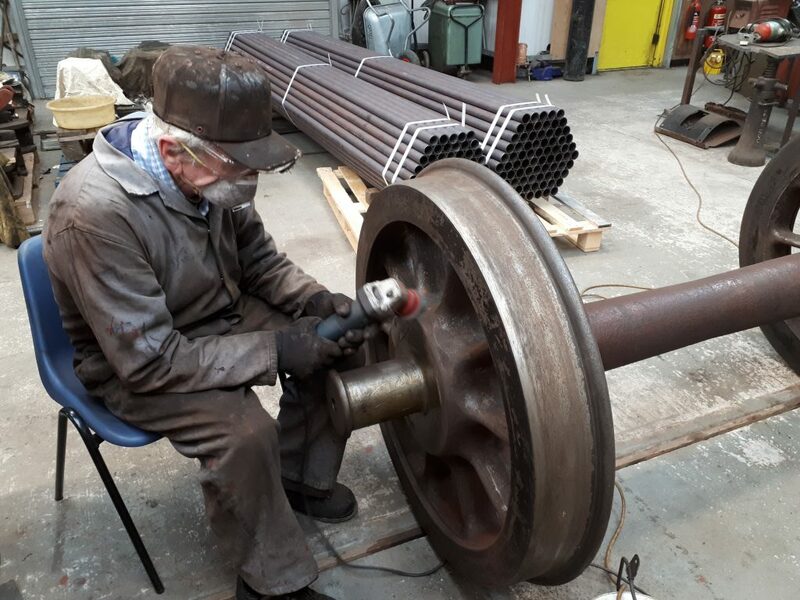 Cumbria‘s dome cover and dome lid were removed on Friday morning in readiness for the regulator and ‘J’ pipe to be removed for machining. John Dixon is seen here replacing one of the studs. 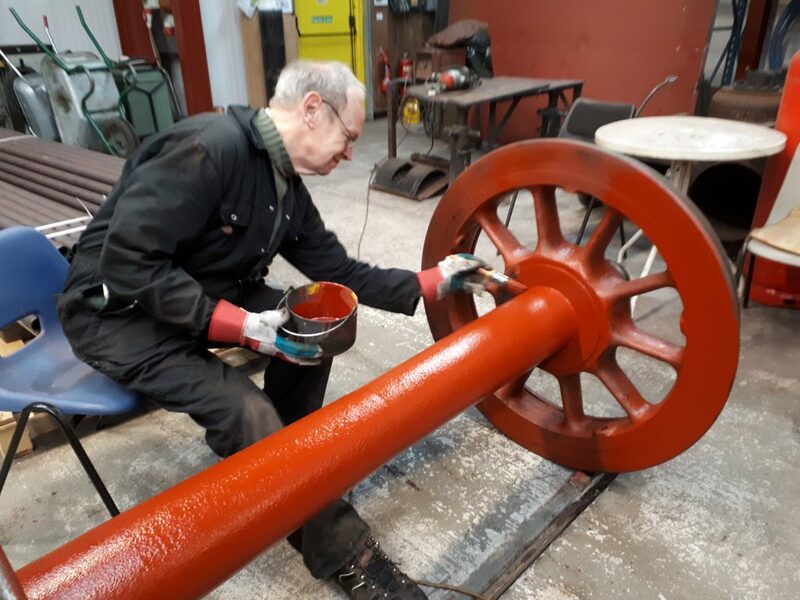 Fred spent much of the day finishing the cleaning up of FR 20’s tender wheels… … then John Dixon applied a coat of red oxide paint. 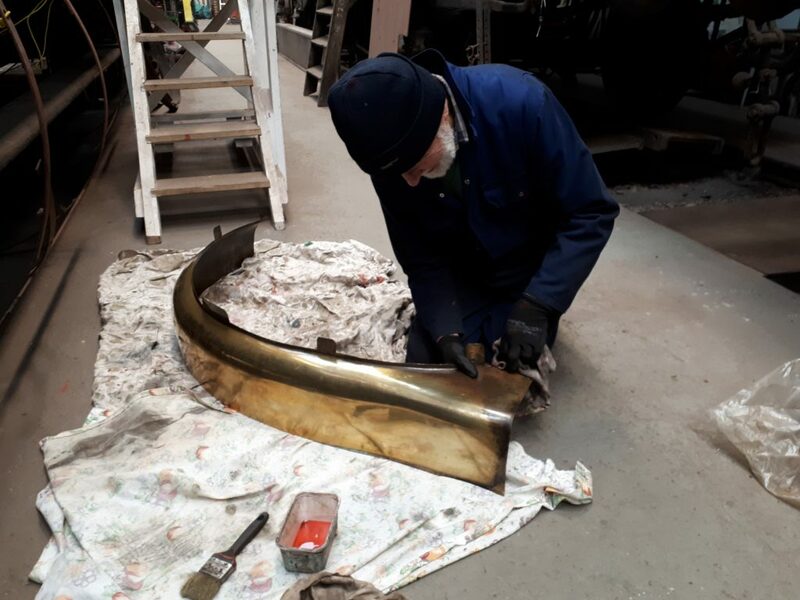 Roger continued Phil’s efforts at cleaning FR 20’s brasswork and can be seen here busy at his work. 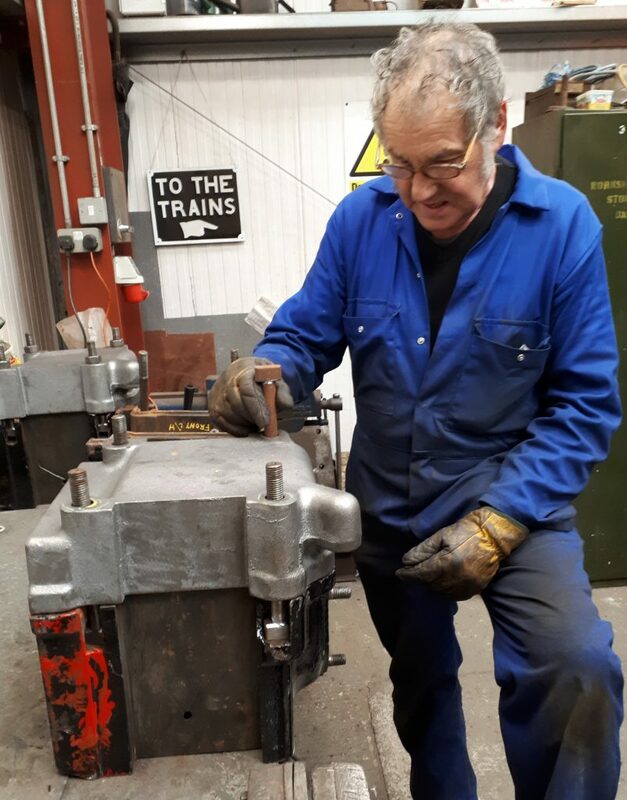 Keith has been working on the new keeps for Wootton Hall’s tender, and is seen here fitting one to one of the axleboxes. And there was yet more work carried out by John Davis and Howard on Fluff.